One thing I LOVE doing with the parties I throw is to use the things we have around the house as decor. And that includes toys. So when I was picking out something to gift to my daughter in celebration of the upcoming movie release, I decided on this cute figurine set that included all of the key characters from The Little Mermaid. They looked great with the food spread and have provided hours of entertainment after the movie. My daughter loves to re-enact her favorite scenes and even makes up a few scenes of her own now. 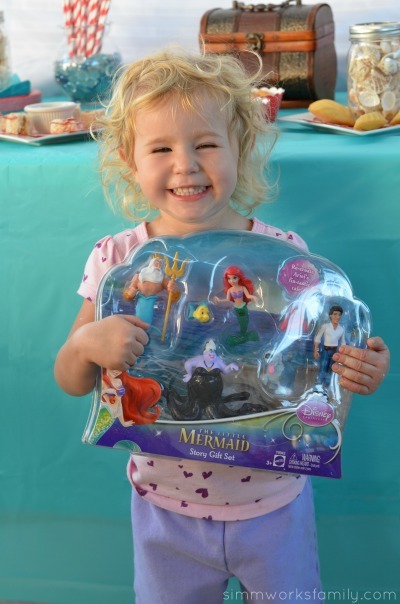 Walmart has a great selection of The Little Mermaid toys including dolls, bubble makers, and bath toys. And I’m fairly certain we’ll be back again to purchase the Ariel costume for Halloween. I definitely enjoyed coming up with the menu for our Under The Sea party. I went with easy snack foods that would be enjoyed throughout a movie. Everything but the jello could be eaten without utensils. The sushi was a simple concept. I cut off the crust of a piece of whole wheat bread, lathered it with peanut butter (you can also substitute sunbutter), rolled it up, and cut it into small sushi sized pieces. Adding a skewer to pick them up made it easier for the kids to dip it in the jelly. Jell-o is always fun at a party. But when you add fish to the blue jello mix you can create an aquarium for your kids to enjoy. Simply add the Swedish Fish to the Jell-o cups as it’s setting in the fridge. 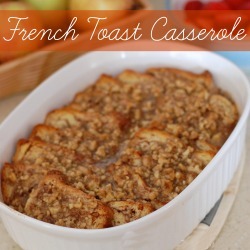 Top with whipping cream for a tasty topping. 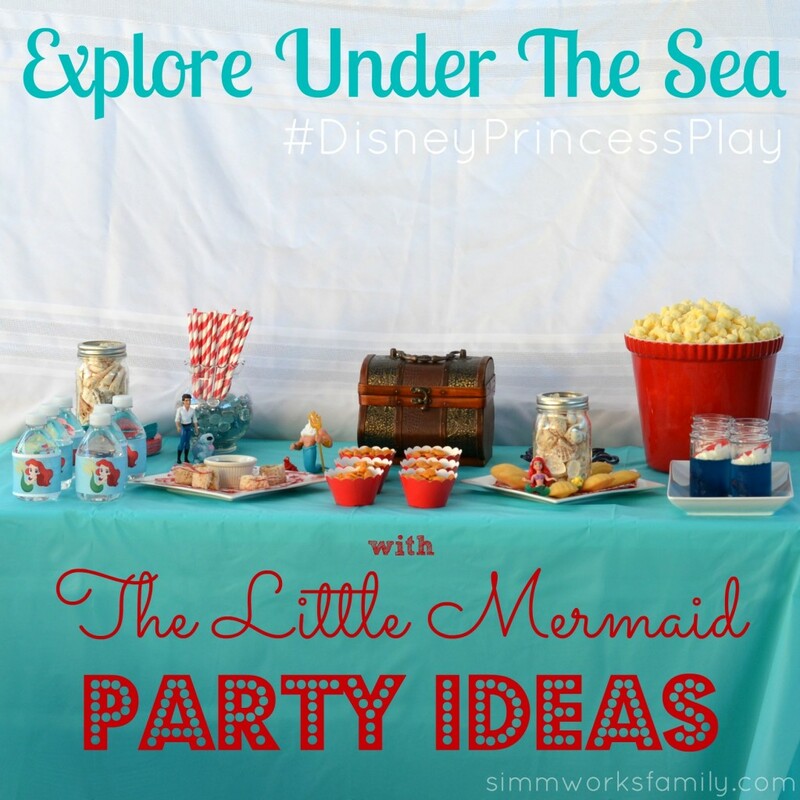 There are a lot of fun activities to include in your Little Mermaid party. We had fun with bubbles, made our own mermaid tails out of towels, and even sang along to a few songs from the movie that my friend brought over. Paint a treasure chest – Head over to your local craft store and pick up some small wooden chests and acrylic paints. Let the kids go crazy decorating their chests. Bubble fun – Pick up a small plastic pool. Grab a few wire hangers and bend them into different shapes. Fill the pool with water and dish soap and dip the wire hangers into the pool to create fun bubbles! Have a mermaid race – using towels, wrap a towel around each child as you would if you were getting out of the shower. Secure at the top with a knot or a safety pin. At the bottom of the towel use a large rubber band to secure the tail to the child’s feet. Now let the kids race from point A to point B. Winner gets some Swedish Fish! 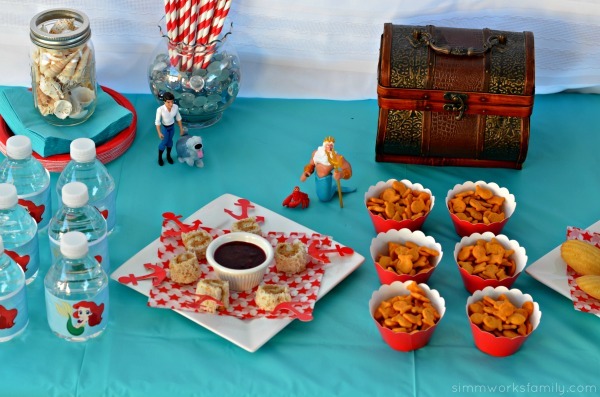 Check out the Under The Sea Pinterest Board for more great The Little Mermaid party ideas! Find more fabulous Disney Princesses toys, including more featuring Ariel from The Little Mermaid by checking out the Disney Walmart selection. Head on over to like Disney Princesses on Facebook. You can also follow on twitter at @Disney. 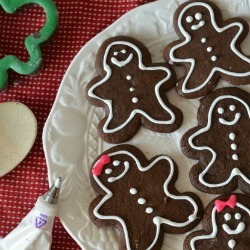 Ahhh, such FAB ideas here! Bookmarking for the twins birthday party, this would be such a hit!! What an adorable party! Makes me wish I was a little kid so I could attend and join in the fun! I love these ideas and the color combination! We used some Cars toys when we had a party recently and I think adding the toys to the party decorations just adds to those little details that makes a party fabulous! What a fun idea! My daughter is just starting to get into the Disney Princesses and I know she would absolutely love this! It makes me want to have a party for my children. I love the colors you choose! Looks like a really fun party. Why can’t we live closer to you, your parties are also so fun looking. Love all the attention to detail and that they party decorations are also toys, great touch. I love how you put this together! What a fun party to have. Thanks for sharing how you set it up! 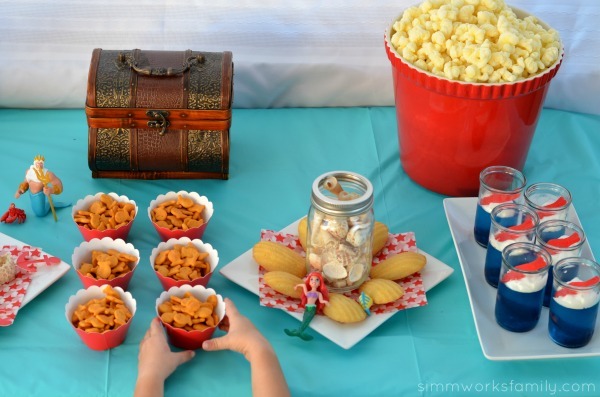 Love the snack ideas, so cute! This looks adorable and so much fun! 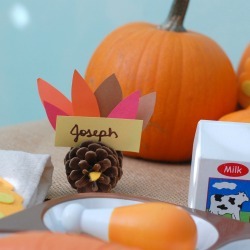 I love including toys in party decor too! 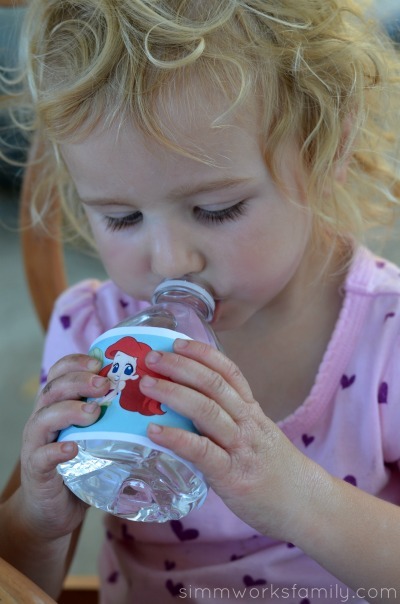 I really love the Little Mermaid water bottle! What and ADORABLE party! I love the personalized water bottles. A good excuse to include water as a beverage too, love that. 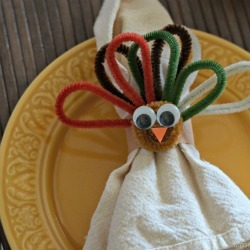 Cute ideas – love all the crafts and little touches. Looks like a great time was had by all! 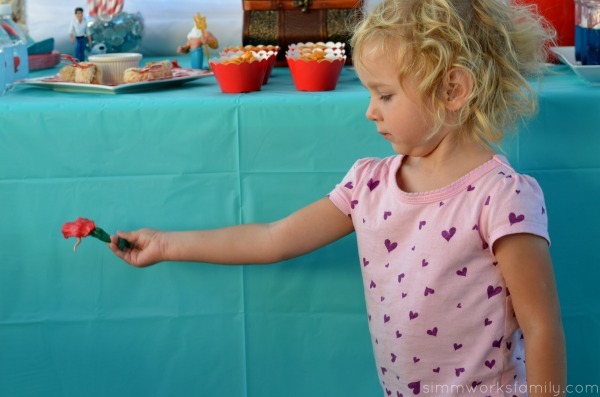 Such cute party ideas. I would have never thought of madeleines being the perfect shell shape, but they really are! You did a fabulous job. What an amazing party!! 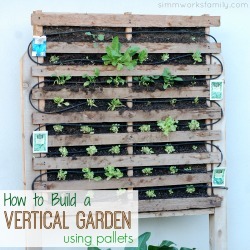 Love the ideas here! I think the activities you came up with are especially fun. What an adorable party! I absolutely love how used the toys as decor. This party is just adorable! This is literally the sweetest party that I have ever seen! I would love to throw a party like this for my niece!